Welcome to the More Than These blog blitz and giveaway, hosted by JustRead Publicity Tours! More Than These: A Woman’s Love for God addresses the question that every woman who desires to walk with God must face. How can a woman love God as she should and keep the rest of her life in its proper place? Innumerable responsibilities fill her life and seek to take control of her time, energy, and focus. In spite of her best intentions, these worthy concerns can slip into a place of prominence in her heart-a place only God deserves. These people and situations that capture her love can quickly become idols when priorities go unchecked. More Than These: A Woman’s Love for God addresses the issue of a woman’s love for God. Each chapter considers a different aspect of a woman’s life that can become an idol-family, friends, possessions, fears, accomplishments, etc. 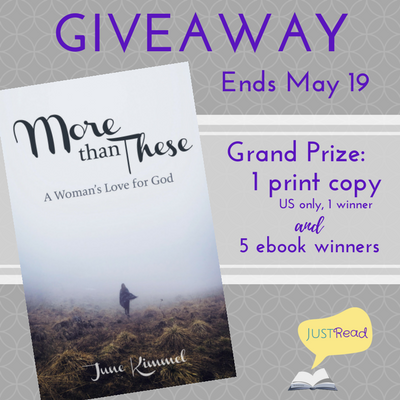 More Than These: A Woman’s Love for God clearly presents biblical truths and personal illustrations to teach why a woman must surrender these areas to the Lord for Him to remain her ultimate love. Women are searching for the secret to balancing their lives. More Than These: A Woman’s Love for God declares that loving God supremely is the answer. June Kimmel is a pastor’s wife, author, mother of three, and grandmother of seven! She and her husband have been in ministry for over forty years. June’s greatest joy is teaching God’s Word to ladies of all ages and walks of life. 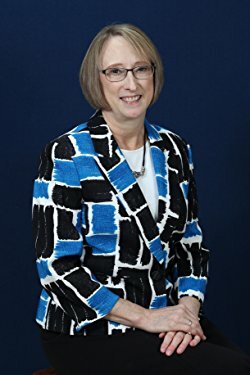 She regularly speaks at ladies’ conferences and retreats, educators conferences, and other special events in the United States and internationally. Through their ministry, Training the Nations, June and her husband are training pastors, their wives, and Christian educators around the world. Enter via the Rafflecopter giveaway below. 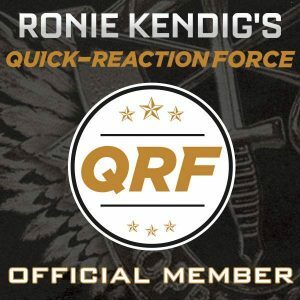 Giveaway will begin at midnight May 12, 2018 and last through 11:59pm May 19, 2018. Winners will be notified within a week of close of the giveaway and given 48 hours to respond or a new winner will be chosen. Thanks for being part of the “More Than These” blog blitz hosted by JustRead Publicity Tours. Enjoyed reading about the book and the excerpt. I would love the opportunity to read the book.